A fortune-telling machine with a mind of its own, professional killers hanging out by the hotel pool, granny run amok in Funland...what's happened to Rehoboth? Some very talented writers have created a book of great beach reads, that's what. 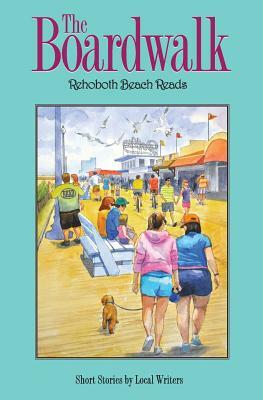 This collection of 25 short stories are the winning entries from the Rehoboth Beach Reads Short Story Contest. It is an amazingly diverse selection of clever stories, as appropriate for fireside reading as they are for beach reading. From romance and sweet memories to ghosts and intrigue, these stories are sure to entertain and delight. Sherlock Holmes even puts in an appearance. If you liked The Beach House, you're going to love The Boardwalk. Short stories set in and around Rehoboth Beach, Delaware.